The NEVCA is proud to share the stories of our 2018 NEVY Awards nominees through their own words. Hear their experiences of success, failure, and everything in between — most importantly, what has driven them forward to build and grow their vision, starting with the very first spark of inspiration. Arrakis Therapeutics formed when an iconoclastic idea reunited a group of grizzled old drug discovery scientists 20 years after they first collaborated. The idea: RNA, the software that drives all human biology, can be “drugged” (i.e. bound and modulated) by conventional small-molecule medicines rather than only by oligonucleotide medicines. If that’s true, the opportunity to create important new medicines is huge since 1) accessing RNA could expand our choices for drug targets by 1,000-fold and 2) conventional small molecules would offer huge advantages over oligonucleotide medicines (e.g. oral bioavailability, superior tissue distribution, superior cell penetration.) “Reasons to believe” include emerging biological insights, new technologies and key precedents all explained in Arrakis’s DARK MATTER blog. In 2014, Arrakis’ founder and CSO Russ Petter found himself leading medicinal chemistry at a global pharma company following the acquisition of Avila Therapeutics where Russ, ever the iconoclast, created several drugs whose MOA was covalently binding their protein targets. Preferring the small biotech lifestyle, Russ “retired” and struck out to find the next opportunity to push small-molecule drug discovery into new realms. The eureka moment came at a Gordon Conference where a panel of industry and academic experts in RNA biology, computational chemistry, chemical biology and drug discovery discussed the prospects for drugging RNA. Russ heard angels singing, and he hasn’t stopped thinking about drugging RNA since. In the process of talking to potential investors, Russ met with Raj Parekh and Alan Walts from Advent Life Sciences and discovered that Raj and Alan had already been thinking about building an rSM (RNA-binding small molecule) company for several months. 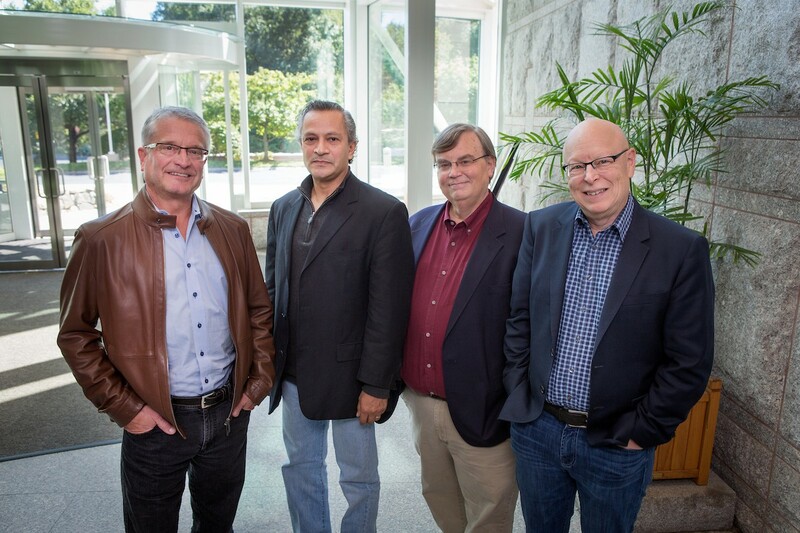 With backing from biotech pioneer Henri Termeer, in October 2015, Russ, Raj, Alan and Henri founded Arrakis Therapeutics. Embracing his inner nerd, Russ proposed the name Arrakis from the famous science fiction novel Dune by Frank Herbert. Arrakis is a desert planet which at first appears to have nothing of value in its vast, arid landscape. However, it ultimately becomes clear that Arrakis is in fact the universe’s only source of a natural product (a psychotropic drug really) called spice which allows its users to see across time and space and is therefore essential to interstellar exploration and commerce. The human transcriptome, the set of all RNAs transcribed from DNA, remains largely unexplored. Like the planet Arrakis, large parts of the transcriptome were once believed to be an empty, featureless desert with nothing of value. However, the current inhabitants of Arrakis Therapeutics believe they are standing atop a resource of incalculable value and that ingenuity and diligence will convert that resource into a whole new field of valuable medicines. With Arrakis Therapeutics established, Russ recruited Jim Barsoum and Kumar Kumaravel to lead biology and chemistry respectively and Dan Koerwer as CBO. These four had last worked together in the early 2000’s when they were all managers in Biogen’s Discovery Research group which was led by Michael Gilman. Michael himself had also left Biogen to found two successful biotech companies: Stromedix and Padlock. Having recently closed the sale of Padlock to BMS, Mike was thinking about retirement supplemented with several non-executive roles. But the opportunity to get the band back together and to work on such a compelling biomedical challenge made it easy for Raj, Alan, Russ and Dan to persuade Mike to take the CEO chair at Arrakis. Russ filled out the management team by luring Heather Lounsbury, former site head for Avila, away from Celgene to run operations. The last piece of the puzzle was the Series A financing. Matt Cohen from Osage University Partners was catalytic in that he both championed Osage’s investment and introduced the Arrakis team to Colleen Cuffaro from Canaan Partners, who led the Series A. Peter Worland championed Celgene’s investment, and Carolyn Green did the same on behalf of Pfizer. There are now 30 Arrakis scientists in their Waltham labs discovering and developing rSMs to modulate translation of disease-causing proteins and to eventually treat serious diseases. There’s often Grateful Dead music playing in the background because the team really identifies with another bunch of old guys experimenting with drugs. Every nominee is a winner in our eyes, but be sure to purchase your 2018 NEVY Awards tickets to see who takes home the ultimate prize on May 9th. Nab Your NEVYs Tickets Now – and Bring Your Team!